THE NCAA said it will change the way individual awards will be determined in the future after this year’s list of awardees were met with mixed reactions. NCAA Management Committee chairman Jose Mari Lacson of host San Beda said the league will definitely change its system of determining individual awards after four centers made the Mythical Five this year. 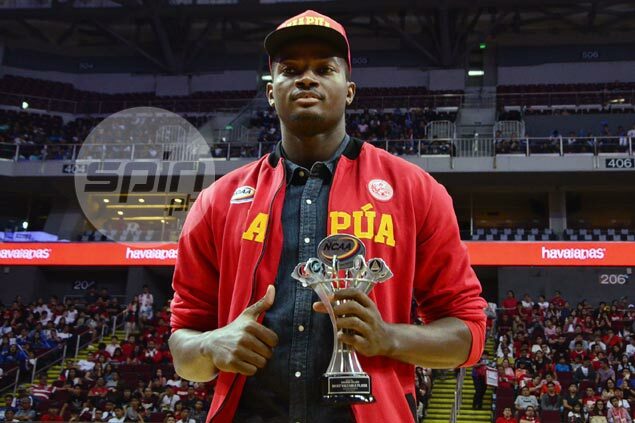 Allwell Oraeme of Mapua won his second consecutive MVP award and was joined by Bright Akhuetie of Perpetual, Donald Tankoua of San Beda, and Hamadou Laminou of Emilio Aguinaldo College in the Mythical Five. Jio Jalalon of Arellano was the only non-center - and the only local player - to be part of the elite list. “By next year, we are going to change it kasi ‘yung Mythical Five should be the best in every position,” Lacson told reporters after the awarding ceremony. Lacson said the league will also consider putting a separate award for foreign student athletes. “Probably by next year, we will have a separate kung sino ang best import,” said Lacson. Lacson felt the changes are necessary since foreign athletes have an inherent advantage in the battle for the the top individual awards. Lacson, however, said the league will insist that statistics will still be the basis for the awards, frowning on the suggestion that balloting will come into play. “It has always been our rule na stats. We have been following what we have been doing. Now, we see a problem,” said Lacson.